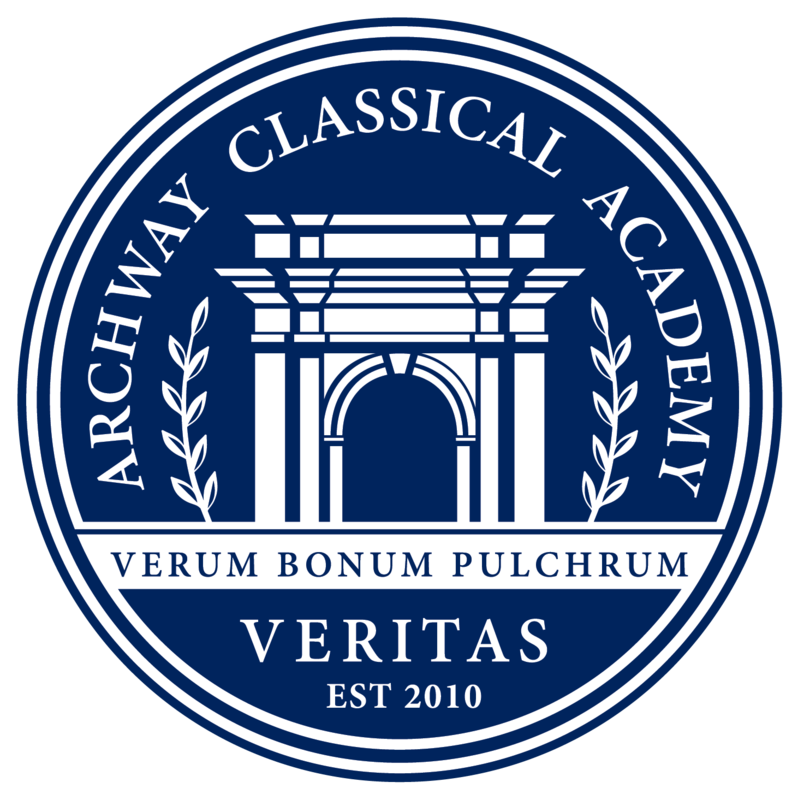 Your support makes the Great Hearts education at Archway Veritas possible and strengthens our community. Please refer to MySchoolAnywhere.com for contact information for the Board members. Below is a brief overview of the major events sponsored by the AVPSO and the school. The list is long – and that is why we rely so much on parent volunteers. ~ Back to School Night is an open house style evening allowing you and your child to meet your child’s teacher and it is a chance for your child to locate and organize his/her desk and to drop off all books and supplies before school starts. ~ Book Fair is a literary themed week, offering the chance for families to purchase new books from Usborne Books through an AVPSO organized event. ~ Son’s Event is an AVPSO planned night for the boys to have some fun with a special female in their lives. ~ Veritas 5K Victory Run is run/walk open to the entire family. This is one of the events held in conjunction with Veritas Prep. Medals are awarded to the fastest runners in all age groups. ~ Fall Festivitas is a fun community builder. The playground and grassy areas are turned into a carnival type setting with activities, such as a petting zoo and games, and food. ~ Snowstorm promotes our annual AVPSO holiday giving program for faculty and staff. Rather than buying gift card or coffee mugs for the teachers, we ask that you contribute an equal value to what you would have spent in cash to a fund that will be distributed and gifted to the faculty and staff, on behalf of the parents, at an AVPSO hosted holiday luncheon. ~ Dear Daughter Dance is a chance for the girls to take center stage with a special man in their lives. ~ Athletic Field Day is an Olympic themed outdoor athletic event created and organized by Coach Caschetta. The kids adore this day and winning the gold is always on their mind. ~ Art Walk is an open house style art exhibition of the students’ artwork during the year. ~ Auction is the year’s biggest event. The Auction is organized and hosted by both Veritas Prep and Archway Veritas. Parents from both schools can enjoy an adult-only night of dancing and shopping with goal of having fun with other parents and raising money for the two schools. This event has helped to fund items such as an Archway library renovation, Prep’s scoreboard and athletic equipment. ~ Music Fest is an on-campus outdoor music festival hosted by Prep, but welcome to all. ~ Campout on Campus is the last big social event of the year and is organized by Dads’ Club. Families can buy a “camping permit” to set up a tent and camp out in the football field. The evening frequently includes bonfires, movies and grilled food. ~ New Family Open House is an informal chance to bring your incoming kindergartner to meet the teacher and see the classroom. The AVPSO will be on campus selling Used Uniforms. The AVPSO Board members will also be in the breezeway to answer any questions that you have. Local restaurants frequently partner with our school to give back a portion of their proceeds during a certain timeframe. Information about these events will be included in weekly newsletters. The auction is our biggest community event of the year! Together, families of Veritas Prep and Archway Veritas will raise the funds necessary to outfit a specific improvement in the school. If you are interested in helping, please contact smarbach@archwayveritas.org.